An artist, DJ, producer, live act, label owner, radio show host, and all-round music entrepreneur: it’s hard to pin him down. 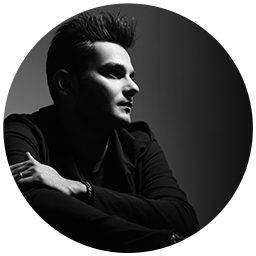 When he’s not touring incessantly, Arjun spearheads India’s premier electronic music school, I Love Music Academy, and co-owns UnMute Agency, which manages India’s finest underground talent. Along with Ramiro Lopez, he is the driving force behind Odd Recordings, a futuristic Indo-Spanish cross-pollinized record label that’s creating a massive buzz with ravers and industry folk alike. Arjun’s knowledge and use of technology in the booth is unparalleled, as he innovatively wields drum machines and modular synthesizers to create an electrifying atmosphere. His ability to really ‘move’ a dance floor, not just play to it, has taken him to legendary clubs like Tresor, Womb, Verboten, Baum, and Paradiso, and key festivals including BPM, Sonar, ADE, Fusion, Awakenings, Sunburn and VH1 Supersonic, playing alongside the genre’s most prominent artists such as Richie Hawtin, Adam Beyer, Dubfire, Josh Wink and Sasha, to name but a few. His productions have truly put him – and India – on the electronic music map. Early tracks like “She Said” and “Terrakoz” were championed by Richie Hawtin and Dubfire, and subsequently licensed to compilations by Carl Cox and John Digweed. Remixes soon followed for Danny Tenaglia, Victor Calderone and Dave Seaman. Now signed to SCI+TEC, Tronic, Octopus, Suara, Herzblut, and Paul Ritch’s Quartz, Arjun’s signature sounds are regularly played by Carl Cox, Adam Beyer, Hawtin and Dubfire, all the way from DC10 in Ibiza to Berghain in Berlin.